Want this item tomorrow, Saturday 27th April? Order within the next 15 hrs 16 mins and choose Saturday Delivery during checkout. 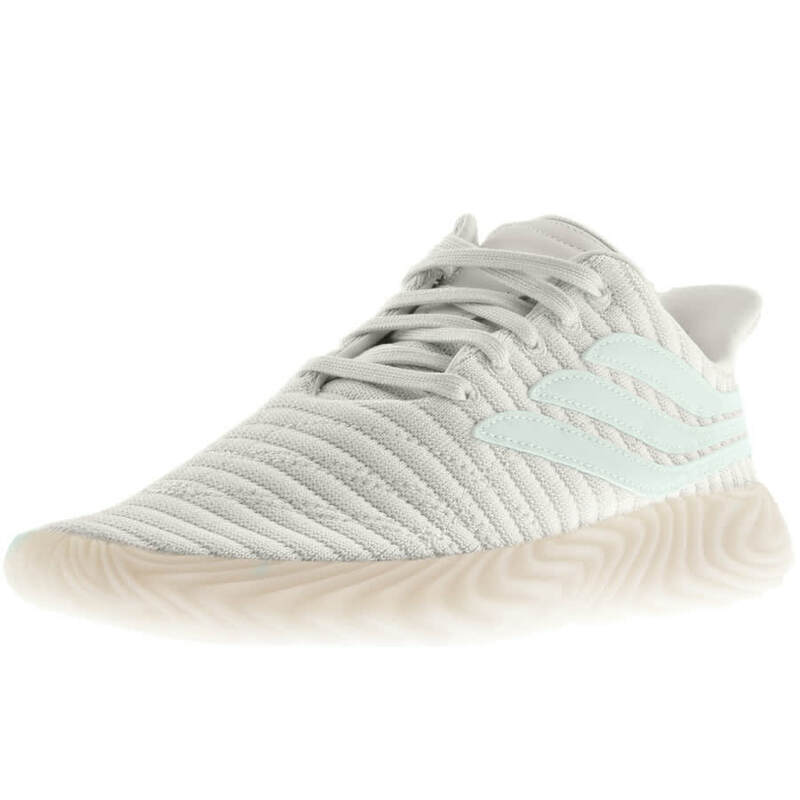 Adidas Sobakov Trainers In Footwear White, Stretchy asymmetric knit textile uppers in white featuring stitch detail on the footbed in white. A white lace fastening with embroidered eyelet detail. Swerving leather look signature Adidas Three Stripes on the instep and outstep in a aero green. A padded knitted tongue with a white leather look panel and a white panel is also on the reverse of the heel with stitch detail in white. A bold sculpted vulcanised rubber sole. Brand New Adidas Originals Trainers And Flip Flops Live.